Social networks have become a fully-fledged marketing channel in e-commerce. Facebook started advertising very early on and then moved on to e-commerce features to enable advertisers to showcase their products on the platform. 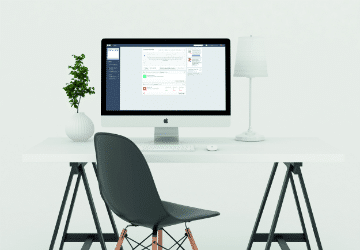 With nearly 2 billion active monthly users, the social network now offers retailers advanced advertisement settings that can be fine-tuned according to the customer’s shopping process. Facebook is now a key marketing channel, whether its to reach new clientele or to retarget online shoppers who have shown an interest in your brand. Today, we’re going to be looking at how to optimise your Facebook retargeting campaigns with Custom Audience and it’s advanced features. When creating your ads on Facebook, you’ll have to choose your target audience, either by creating a new audience or using a saved audience. You will have the choice between three types of audience: Custom, Lookalike, or Saved. Unlike Lookalike and Saved audiences targeted solely from the Facebook community, Custom Audiences allow you to target the people who visited your site directly from the social network. 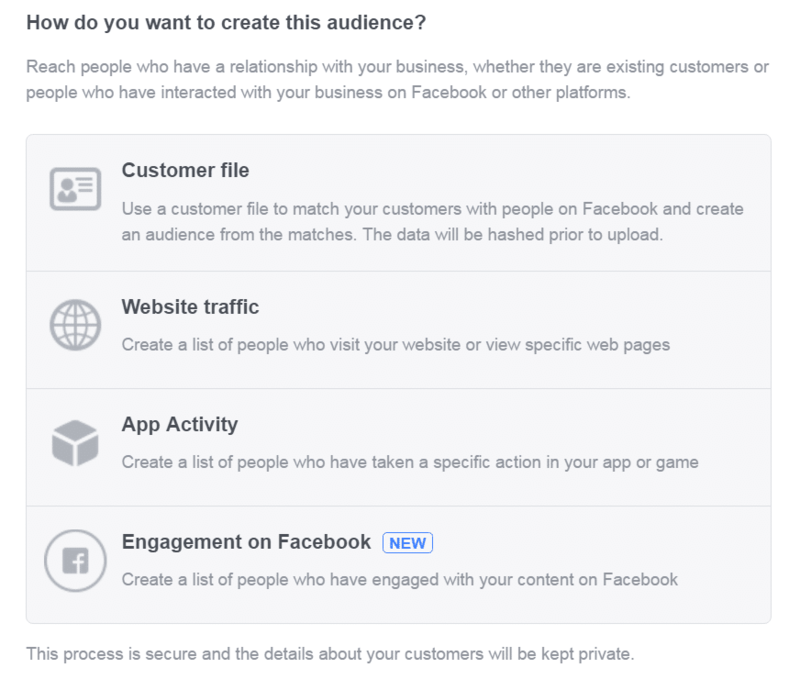 For this, Facebook offers advertisers four ways to create a custom audience: either based on site traffic, on customer file, on app activity, or on Facebook engagement. 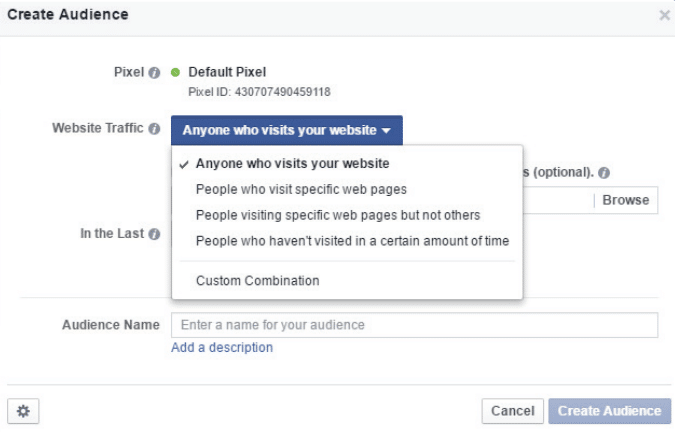 If you decide to create your audience based on traffic to your site, you need to add the Facebook pixel first. This piece of HTML code has to be integrated onto your site, your app, or from Google Tag Manager, if you already use the platform. It will allow you to track the behaviour of your visitors: pages viewed, products added to baskets, added to wish lists, and products purchased. To learn more about creating a Facebook pixel, take a look at our white paper. Once the pixel is installed and activated, you can start creating your custom audience. What are its advanced features? With the Custom Audience advanced features, you will be able to adapt your retargeting according to the behaviour of your customers. Therefore, you’ll be offering each of your customers the perfect product suggestion. For this feature, different types of advanced options are available: frequency, recency, time spent, summed value, or the device used. Note: Frequency and device rules are available via Power Editor. The other rules are only available via the Facebook API. How do I set up these advanced features? If you want to create a Custom Audience from your website using the advanced features, there a number of steps to follow. 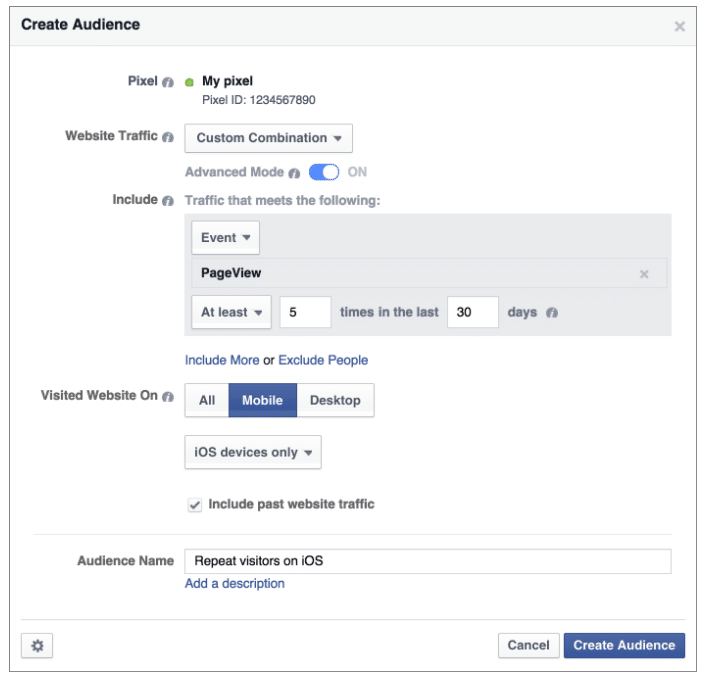 Go to the Facebook “Ad Manager” and go to the “Audiences” tab then click “Create an audience“. Then select the audience of your choice, in this case “Custom Audience” and choose “Website traffic“. You are now in the Custom Audience settings area. Select the “Custom Combination” option and confirm that advanced mode is enabled for your advanced targeting to work. As mentioned above, the Custom Combination option allows you to filter the audience of your retargeting campaigns by creating rules. These rules will allow you to subdivide the audience of your site to retarget according to their browsing behaviour, so that you can then create ads that are perfectly adapted to suit each customer. Note: To further filter the audience for your rule, Facebook requires advertisers to add a frequency and duration. 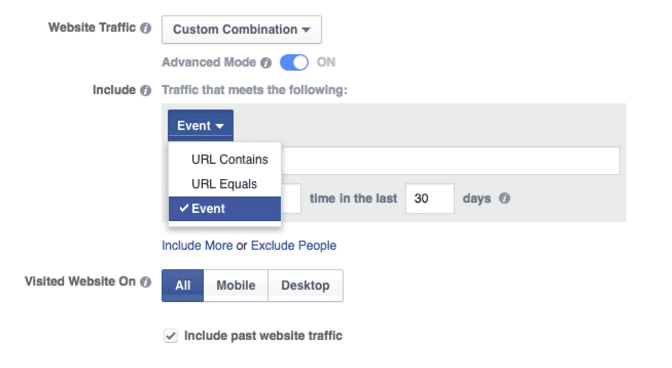 If you choose the “Event” rule, you will be able to choose a standard default Facebook event from the following list to track your site conversions: PageView, ViewContent, Purchase, AddToCart, Search, AddToWishlist, InitiateCheckout, AddPaymentInfo, Lead , and CompleteRegistration. For these events to appear in your rule, you must first add them to the code of your Facebook pixel, only on the pages where you are tracking a specific event. You can also add custom events to further personalise your tracking. You can also optionally set a value for your pixel code, so that you can recall it in the Facebook interface. 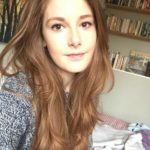 Example with “PageView“: If you want to create an audience based on users who have viewed a product for more than £100 on your online store in the last 30 days. Select “Event“, choose “PageView“, and then add as an optional parameter “Value” “>” “£100” and enter the number of days in the associated box. Example with “AddToCart“: If you want to create an audience with users who have placed a product in their shopping cart within the last 7 days. Select “Event“, choose “AddToCart“, and enter the number of days in the associated box. 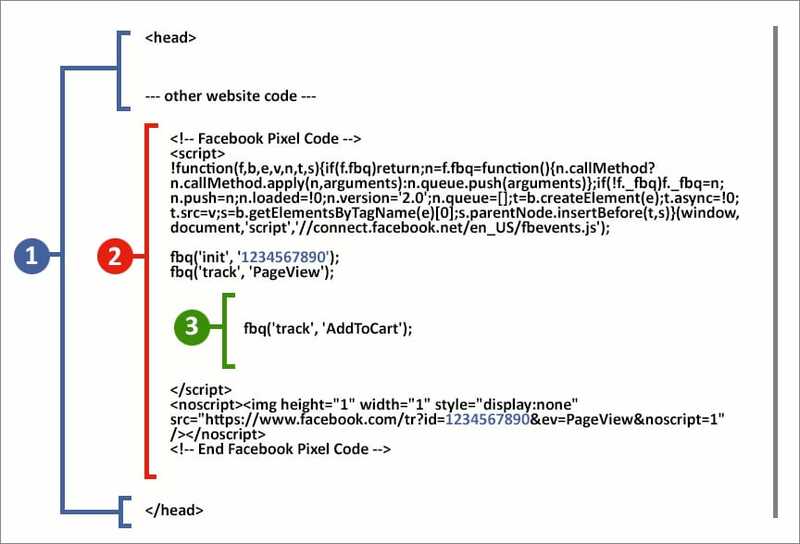 Every time the Facebook pixel is triggered, Facebook is told that a user has visited a page on your site. 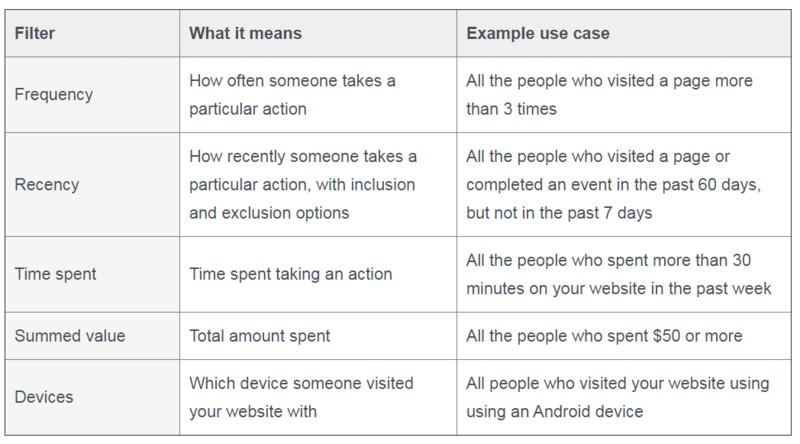 It will then refer to your rules and determine if this visitor should be in a specific category to be targeted by an ad. You can also include or exclude a portion of your audience to refine its size. A good idea is to exclude buyers in your “seen products” or “abandoned basket” subdivisions, so as not to show them products they may have already bought. After setting up your rules, choose the devices on which your audience visits your website: all, mobile, or desktop. Finally, you just have to name your audience and then click on “Create an audience” to start creating your campaigns.